Pemmican Production During the Fur Trade: 100 lb Bags of Protein – and More! Bison are full of tasty, tasty meat. However, in an age before refrigerators, even killing a single bison could net you hundreds of pounds of meat which would soon spoil. 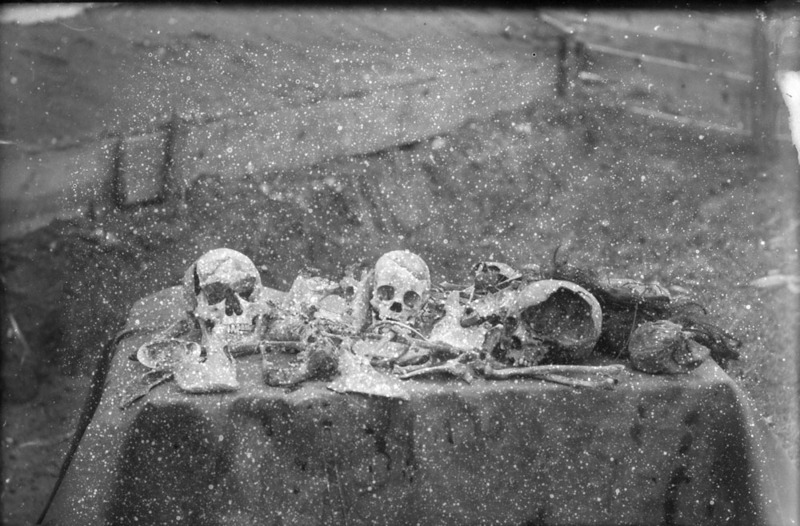 If you were hunting bison en masse with buffalo jumps or buffalo pounds, you and your entire community could have enough meat to lasts months… if you could prevent it from spoiling. One of the main means of preserving meat was by turning it into pemmican. What was pemmican? At it’s heart, it’s two, perhaps three ingredients: dried meat (usually bison, but it could be the flesh of moose, elk, deer, or even fish) combined with melted and rendered fat, and sometimes berries. Drying meat (possibly for pemmican) at Loon Lake, Saskatchewan, circa 1940. Postcard 2477. Courtesy of Peel’s Prairie Provinces. Paul Kane, Wanderings of an Artist Among the Indians of North America (London: Longman, Brown, Green, Longmans & Roberts, 1859), 78. 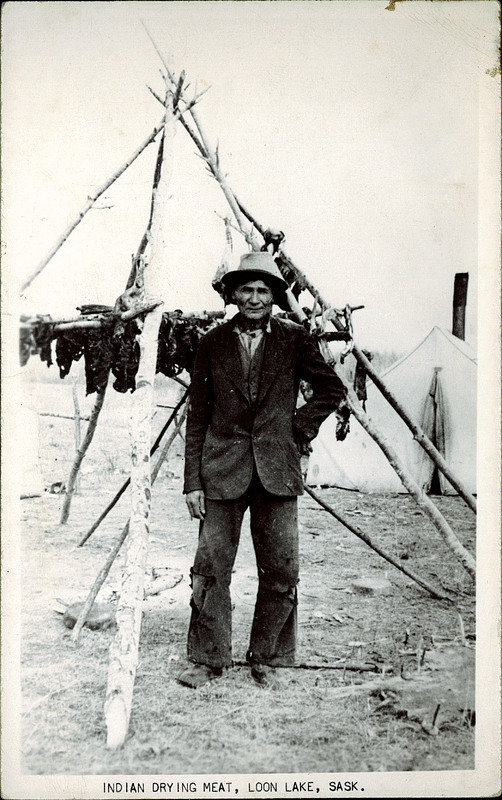 Pemmican was essential to survival on the prairies for First Nations peoples and fur trade company employees alike. Blood was shed over control of the pemmican trade. During the nineteenth century, it was being industrially produced in such large quantities that shovels had to be used to stir the ingredients. Pemmican was packed into bison hide bags and sewn together in packets weighing 100 lbs or 45 kg: the standard packet size for portaging. It was recorded that to produce one of these bags of pemmican, you needed the dried meat from one and a half bison cows. 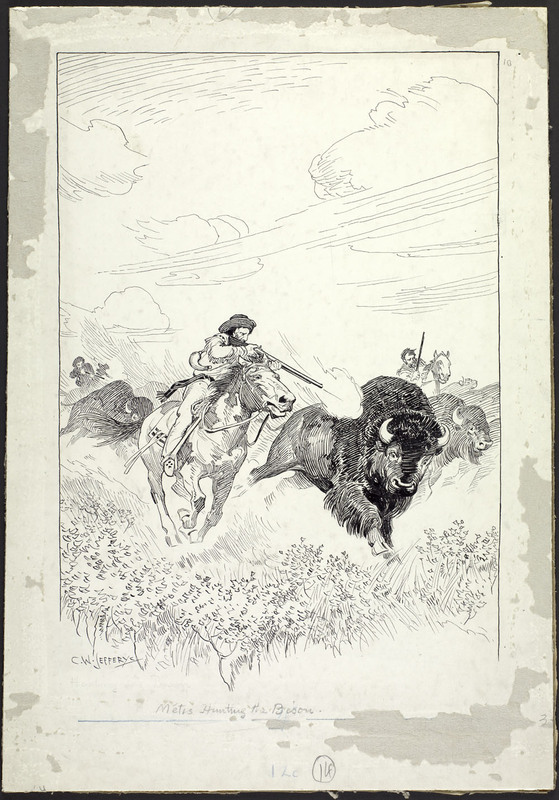 Drawing of a nineteenth century Métis bison hunt, circa 1920s, by Charles William Jefferys. 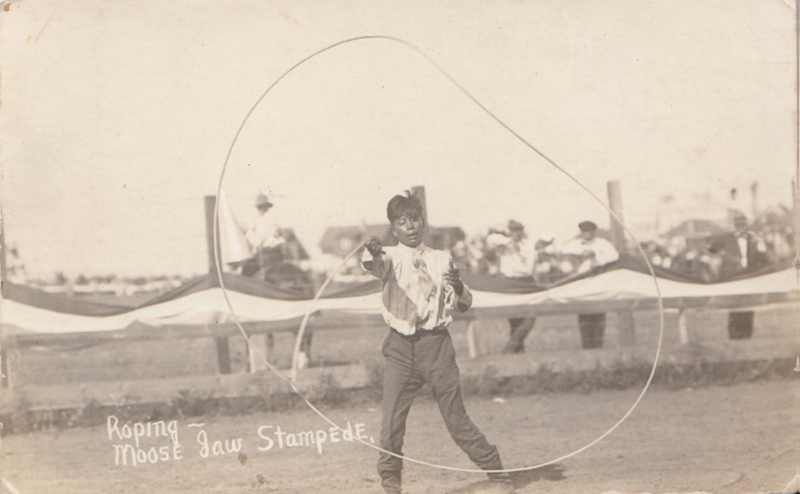 Image via Library and Archives Canada. Brock Silversides, Fort de Prairies: The Story of Fort Edmonton (Victoria; Calgary; Vancouver Heritage House Publishing Company Ltd., 2005), 29. Recently, I found an incredibly evocative description of pemmican from someone who was clearly not a fan. This description was quoted by Garrett Wilson in his book Frontier Farewell: The 1870s and the End of the Old West and was written by a Hudson’s Bay Company employee at Fort Garry in 1879. “Take the scrapings from the driest outside corner of a very stale piece of cold roast-beef, add to it lumps of tallowy, rancid fat, then garnish all with long human hairs, on which string pieces, like beads upon a necklace, and short hairs of dogs or oxen, or both, and you have a fair imitation of common pemmican. Indeed, the presence of hairs in the food has suggested the inquiry whether the hair on the buffaloes from which the pemmican is made does not grow on the inside of the skin. The abundance of small stones or pebbles in pemmican also indicates the discovery of a new buffalo diet heretofore unknown to naturalists…. Garrett Wilson, Frontier Farewell: The 1870s and the End of the Old West (Regina, SK: University of Regina Press, 2007; 2014), 263-5. I’m not sure I’d like my pemmican filled with pebbles or hair, but properly prepared pemmican will get you through the time between bison hunts. This simple food – dried meat, melted fat, and berries – fed the West. Brink, Jack W. Imagining Head-Smashed-In: Aboriginal Buffalo Hunting on the Northern Plains. Edmonton, AB: Athabasca University Press, 2008. Kane, Paul. Wanderings of an Artist Among the Indians of North America. London: Longman, Brown, Green, Longmans & Roberts, 1859. Silversides, Brock. 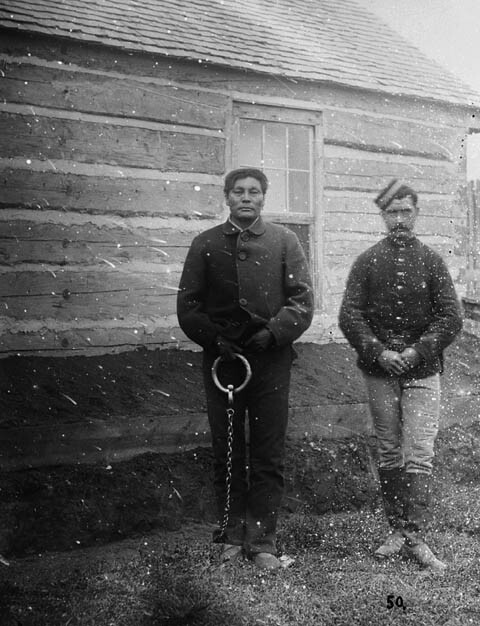 Fort de Prairies: The Story of Fort Edmonton. Victoria; Calgary; Vancouver Heritage House Publishing Company Ltd., 2005. 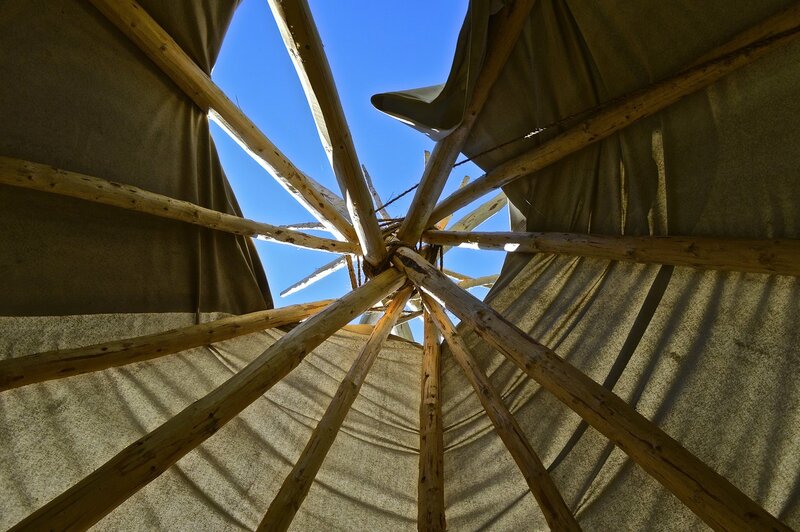 Circle: Teepees are erected with a base “tripod” of three poles tied together. The other poles are laid in place in a circular fashion before another rope walked around them. The canvas is attached to the tops of the tops of the last two poles and is dragged up – these form the smoke flap. The poles are heavier and more unwieldy then they look.